So it’s hump day, so I thought i’d share with you all something I found online a couple of days ago. Just a little disclaimer, I did not put this list together, I simply found it whilst scrolling through my tumblr dashboard but do believe it originated from this post over here. 1. It Gives your immune system a boost.Vitamin C is like our immune system’s jumper cables, and lemon juice is full of it. The level of vitamin C in your system is one of the first things to plummet when you’re stressed, which is why experts recommended popping extra vitamin C during especially stressful days. Lemons contain pectin fibre, which assists in fighting hunger cravings. 11. Helps fight viral infections.Warm lemon water is the most effective way to diminish viral infections and their subsequent sore throats. Plus, with the lemon juice also boosting your immune system, you’ll simultaneously fight off the infection completely. So, how much?For those who weigh less than 150 pounds, squeeze half a lemon’s worth of juice into a glass of water. If over 150 pounds, use an entire lemon’s juice. You can of course dilute the lemon juice more, depending on your personal taste.Not only are the benefits of lemon water endless, it’s one of the most substantial yet simple changes you can make for your health. I hoped you all enjoyed these little facts! Will you be introducing this simple yet effective little changes into your daily routine? Let me know below! 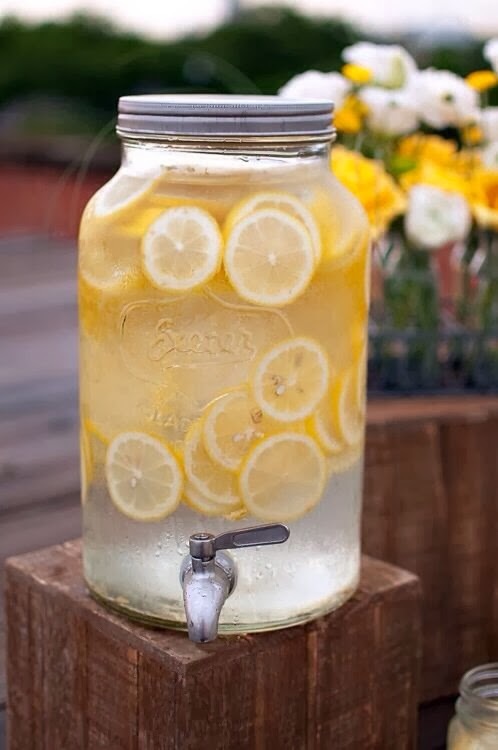 I love lemon water. In the mornings I try and drink a pint of warm water with lemon. (Fill half the glass with cold water and top up with hot). Yum!